Postural instability evokes cortical and autonomic reactions in addition to the primary compensatory response, and it is hypothesized that these responses may be related to underlying affective influences such as tonic physiological arousal. 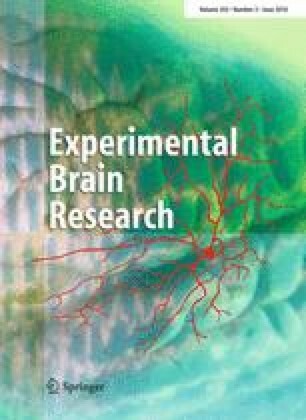 The purpose of this study was to determine whether perturbation-evoked cortical potentials (N1 and P2) and electrodermal responses (EDRs) were related to each other or to tonic electrodermal level (EDL). Ten healthy individuals received sixty perturbations while standing at ground level (LOW) and at the edge of an elevated platform (HIGH), where an unsuccessful reaction could lead to a fall from a height of 160 cm. Postural responses, tonic EDLs and N1 potentials were all significantly larger (p ≤ 0.01) at the HIGH height relative to LOW. EDR amplitudes did not show a main effect of condition, but habituated less at the HIGH height (interaction p = 0.04). P2 potentials were not different between conditions (p > 0.05). There was no statistically significant relationship between the magnitude of change in N1 amplitude between conditions and the change in EDR amplitude between conditions (R = 0.25, p = 0.5), between magnitude of N1 change and magnitude of EDL change (R = −0.23, p = 0.25), or between magnitude of EDR change and EDL change (R = −0.51, p = 0.16). Altered cortical and autonomic responses at the HIGH height were independent of elevated physiological arousal. These findings have implications for understanding the role of cortical and autonomic responses in compensatory balance control, and alleviate concerns about the potential influence of underlying arousal on electrodermal reactivity. We thank H. Cheung, V. Miyasike-da-Silva and T. Patla for assistance with data collection. This research was supported by the Natural Sciences and Engineering Research Council of Canada and the Heart and Stroke Foundation of Canada. We acknowledge the support of the Toronto Rehabilitation Institute who receives funding under the Provincial Rehabilitation Research Program from the Ministry of Health and Long Term Care in Ontario.